St. Benedict had a deep and firm faith in the Cross of Our Lord Jesus Christ, through which he worked many miracles. The Cross is an essential part of the medal of St. Benedict, on which is inscribed a formula of exorcism, wherein we implore that the holy Cross be our light, and that the dragon never be our guide. We command the devil to be gone, and to tempt us no more. Whoever wears this medal, trusting in the power of the Cross, may expect the powerful protection of Saint Benedict in all spiritual and temporal needs. 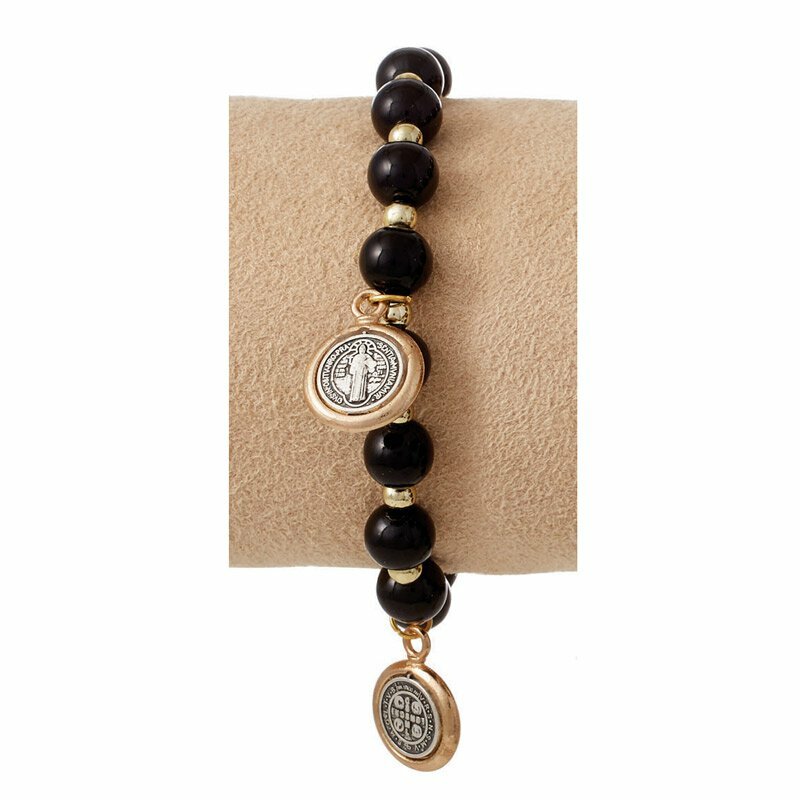 These devotional bracelets from Sacred Traditions™ feature pearl-like beads and small hanging medals. Perfect for anyone with a devotion to St. Benedict.